Skopje is the exceptional capital of Macedonia. With over 530 000 residents, it is the largest city of the country. Skopje offers you the chance to enjoy its magnificent architecture, a rich history and plenty of exciting activities. The top attractions of this metropolis include the Museum of the Macedonian Struggle, Skopje Zoo, and Old Bazaar. Get ready to explore this amazing destination, because cheap flights to Skopje are now available for a limited time! Skopje is home to Skopje International Airport (SKP), which is a 20-minute drive from the city centre. Due to a major upgrade to the face of the city, Skopje offers you an exceptional environment that includes the Art Bridge, the Archaeological Museum and the National Theatre. Skopje has an astonishing history, having been occupied by several empires over the ages. Discover sites like the Skopje Fortress, the Memorial House of Mother Teresa and the Old Bazaar. 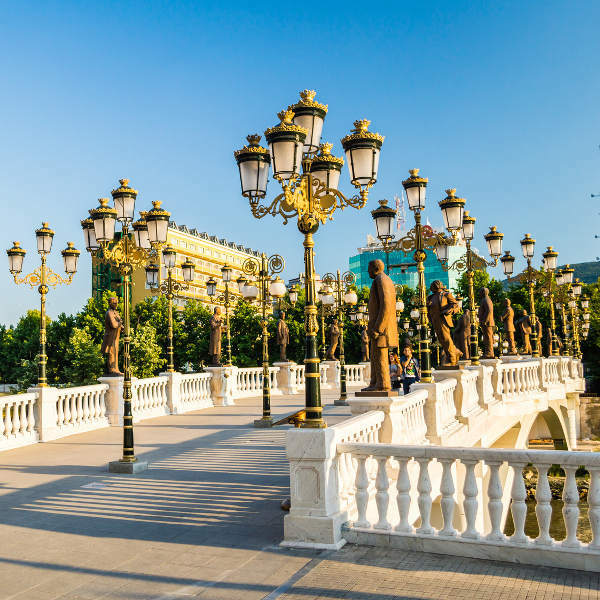 To bring you back to the present, have a fun-filled day with the exciting locations and activities around Skopje, including Skopje Zoo, the Skopje Mall, and day tours around Macedonia. The most popular time to travel to Skopje is definitely the summer season (June – August). During this time, the temperatures can reach 30°C and the rainfall is at its lowest (around 31mm in August). These conditions will mean that a greater volume of tourists will visit. You’d have to book your hotel room and flights well in advance, and be prepared to pay higher accommodation costs and endure crowded attractions. If you’d prefer to skip all that, visit during May (late spring) and September (early autumn). May is the wettest month, with an average rainfall of around 60mm. The temperatures during these months range around the low to mid-20s. 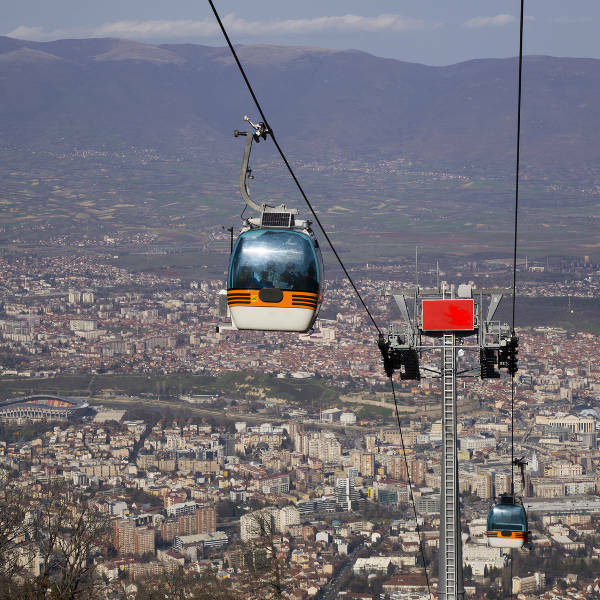 Since they sit outside the high season of summer, you’ll have better availability, cheaper hotel costs and the pleasure of enjoying Skopje’s attraction at your own pace. Go on an adventure and discover Macedonia’s vibrant capital: Skopje. The metropolis has a colourful history, having been occupied by the Roman, Byzantine, Ottoman, and Yugoslavian empires. While several ancient sites are available in the city, you will find interesting contemporary structures, which were created after an earthquake struck in 1963. Explore Skopje while admiring the towering statues, such as Warrior on a Horse and those on the Eye Bridge, which leads towards the neoclassical-styled National Archaeological Museum. 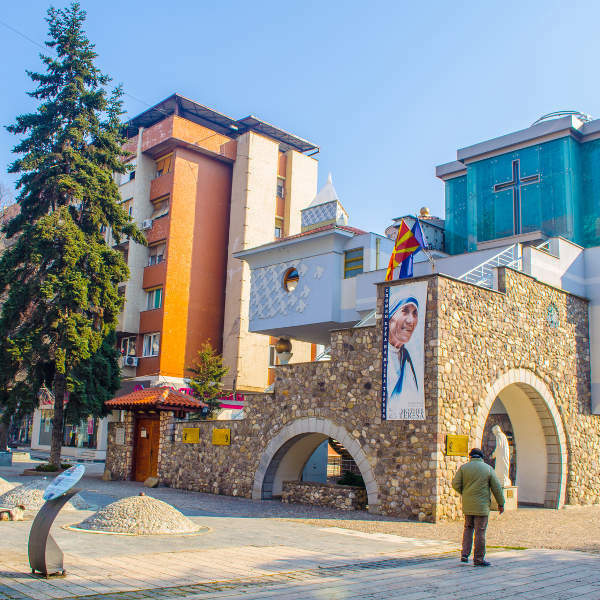 Take a step back in time with a visit to the Old Bazaar, the Skopje Fortress, and the Memorial House of Mother Teresa. Go for refreshing walks through the colossal City Park, which includes a museum, monuments, a small lake, an amusement park, tennis courts, the city zoo, restaurants, cafés and a stadium! Compare several airlines, and book your cheap flights to Skopje online at Travelstart. Skopje enjoys a high level of safety; however, it would be wise to exercise caution, especially at night around the old market, which becomes deserted around the evening. As in any destination, begging and pick-pocketing can be a problem, so make sure your valuables are in a secure place and out of sight, and refrain from showing large amounts of money. Check that you receive all the routine vaccinations four to six weeks before you leave for Skopje. You may need additional vaccines, depending on where you go and what you do in this Macedonian city. Vaccines that you might need in such cases are for hepatitis A, hepatitis B, and rabies.